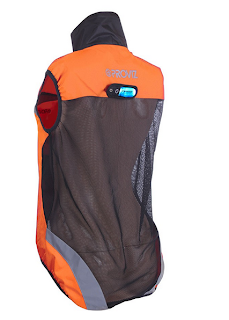 Behind the Bit: Proviz Sports is giving away a Gilet! Proviz Sports is giving away a Gilet! The Proviz Sports giveaway is the vest (or Hi Vis gilet in British-speak) that I wore in my product review last week. It's the actual vest which is a size 12 UK (U.S size 8). It is generous and should easily fit a U.S size 12 too. I love it, but I don't trail ride, and I don't usually wear vests. It's basically unworn/new, with tags. 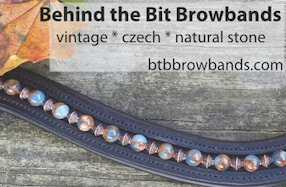 So if you love vests or love to trail ride, this is a giveaway for you! To enter -- "like" the Proviz Sports Facebook page and leave a blog comment on this post -- say where you would wear the vest -- in an indoor, on the roads, trail, whatever. Make sure to leave contact info! Sorry but I ship only in the U.S. I would wear this when I ride on the roads, I currently ride in a Cabelas boring hunting vest and this one looks significantly more stylish and cooler. Reach me on my blog! Love the vest! During the last hunter pace I realized we were riding through some deer hunting land and wished I had a high viability vest on! We do a lot of our fitness training on roads so something like this would be perfect. Usually the high-visibility stuff is so terribly obnoxious, but this is cute. Done! I have actually been shopping for a high-viz vest lately. My mustang and I leg up for eventing on dirt roads in Vermont - we're out for miles and miles 2-3x a week. In the fall, especially, there are a lot of hunters around. I "liked," and would definite like and use the vest. We go on several camping trips with our horses each year, so I would use it on our trail rides in the mountains, as well as around home when I ride down the road or through the orchards and vineyards. I'd probably wear it when I go walking/jogging, too. I love it. I looked at vests like this one at Equine Affaire last fall and didn't buy any of them because they were so heavy. None that I saw had the mesh back. That's such a great design for the hot weather. I'd wear it out on the trails so that I don't get shot. I don't mind sharing space with hunters but I'd rather not be in their crosshairs! Love the vest also! 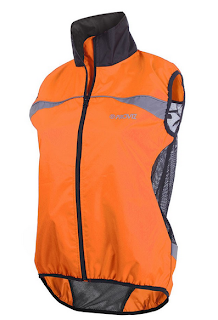 I would wear it on our trail rides and would love the bright color and high visibility - it looks comfortable. My mare is black and it appears that all my clothes are dark, or it seems that way. We would use this to help us avoid being smooshed on the road while we hand walk all summer, and then hopefully ridewalk come the fall. Love it. I run and ride. I run in some hilly country out by the barn, and visibility is sketchy. I also run in the city, in falling evening light...Plus, Eragon and I will be hitting the trail for the first time for real this year! We already ride around the huge barn property and down the lane, but I'm teaming up w/ an endurance rider to help get him more exposure! I would wear it on the roads and the trails while conditioning my eventing and endurance horses! This is such a great giveaway! Thank you for this awesome opportunity! I get to return to my trails back home shortly after I finish up rehab work with me mare, a vest like this would really come in heady if she feels a bit too good after all the boring rehab in the arena! I'm also a bike commuter, so maybe this vest will see a few different kinds of saddles.